We are well recognized in manufacturing and exporting a wide range of Single Spring Seal to our respected customers. These are available in various specifications. With the assistance of our vast expertise and immerse knowledge in this domain, we have been able to offer high quality Single Coil Spring Seals to our esteemed customers. These mechanical seals are ideal for abrasive slurries and viscous fluid. Offered seals are widely appreciated among our clients for seamless finish, heat resistance, optimum insulation and cost-effectiveness. The offered seals also undergo several quality checks under the strict supervision of our quality controllers. We are engaged in the manufacturing, supplying and exporting of optimum quality Single Spring Seals. 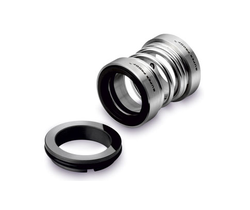 To manufacture these seals, our professionals use good quality carbon, ceramic, silicon and tungsten carbide. These materials are obtained from authentic vendors who have been linked with us since a long time. 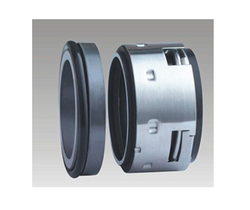 Offered seals are highly resistant to pressure and temperature and known for durability and dimensional accuracy. Our organization offers premium quality Stainless Steel Spring Seals at industry leading prices. 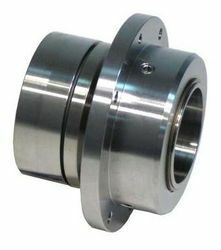 These highly demanded mechanical seals are used in the sealing of heavy duty machines. Offered seals are manufactured in accordance with the industry laid parameters using finest quality raw materials that are obtained from authentic vendors. 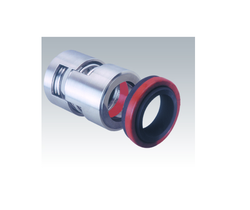 Further more, we offer these seals in customized specifications. 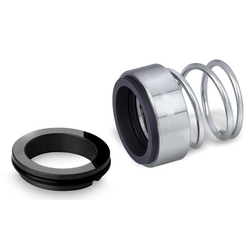 We are the prominent manufacturer and supplier of wide range of Industrial Spring Seals. Manufactured from quality assured raw materials under strict supervision, offered seals are provided in user defined specifications. Known for their unmatched quality, fine finish and dimensional accuracy, these seals are widely demanded in pharmaceutical, dairy, food and cosmetic industries. Our organization is instrumental in the manufacturing and supplying of optimum quality Balanced Single Spring Seals to our honored customers. Manufactured under the supervision of an expert team in compliance with the industry set parameters, these mechanical seals are highly demanded in cosmetic, dairy and beverage companies. Owing to our expertise and the team of dedicated workforce, we are engaged in the manufacturing and supplying of premium quality Mechanical Spring Seals. These springs are available in customized specifications and are suitable for shaft direction and rotation. Offered mechanical seals are globally acknowledged for dimensional accuracy, seamless finish and optimum sealing. 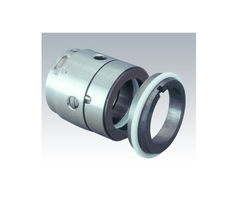 Moreover, we offer these mechanical seals at industry leading prices. Our organization is instrumental in the manufacturing, supplying and exporting of premium quality Single Spring. Offered springs are manufactured in compliance with the industry set norms and specifications using best quality carbon, ceramic, silicon carbide, tungsten carbide and satellite. 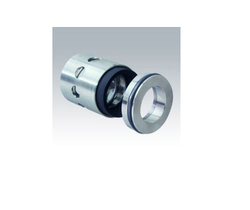 These seals are specially designed for jet dyeing machines, suitable for media contamination as they are self cleaning and non-clogging as well. The offered spring is not affected by the rotation of shaft direction. Looking for Single Spring Seals ?